This one day course introduces the technician to the science behind Plasma Pen and the key techniques to ensure success. A full lecture is followed by hands-on experience on both practice devices and live models to get you completely comfortable using the device. The course includes the Plasma Pen Equipment & Starter Kit so you can immediately implement what you’ve learned. Please note: Training and Plasma Pen are bundled, the training cannot be purchased without the Plasma Pen. In the case where additional attendees (from the same business purchasing the device) wish to attend, each additional attendee (max 2 people) can attend at additional cost. Advance registration required. Purchase options include the Starter Kit, Equipment and 1 Seat for Training Certification at our facility in Edison, NJ. The basic starter kit includes the training, device, warranty, certification and materials to generate $13,000 in revenue. This is one of the most profitable treatments available. The typical price technicians are charging their clients is $650-$2,000. By performing an average of 10 treatments per week, a technician can generate over $300,000 revenue annually! Using a continuous direct energy source, the Plasma Pen ionizes nitrogen & oxygen in the air to create a plasma gas. This plasma gas is sustained by the unique fingertip and on-demand control of plasma the device offers. Using a continuous direct energy source, the Plasma Pen ionizes nitrogen & oxygen in the air to create a plasma gas. This plasma gas is sustained by the unique fingertip and on-demand control of plasma the device offers. 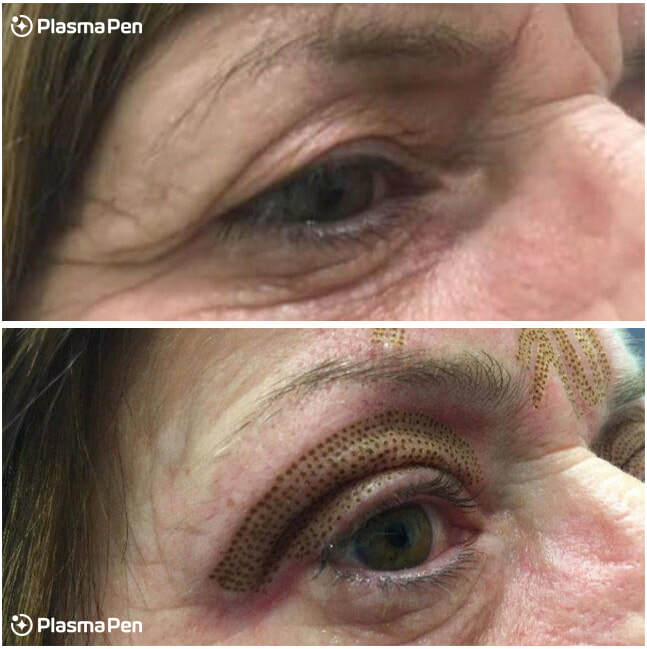 The plasma flash transfers to the skin with absolute precision and does not harm any of the surrounding tissue. 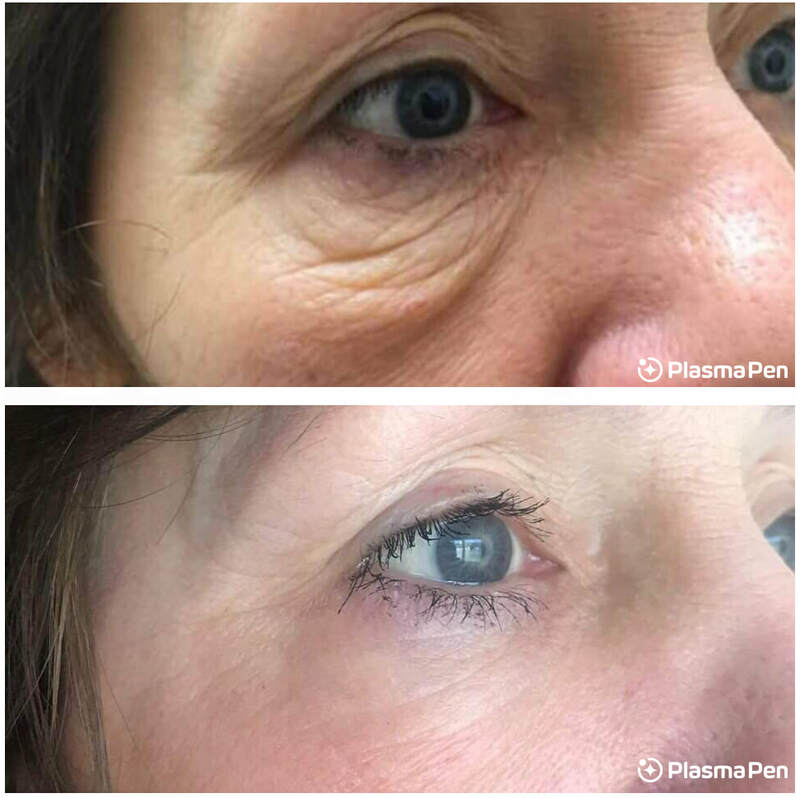 The first and most immediate effect is delivered to the outer layer of the epidermis where we create external micro-traumas which immediately contracts and tightens the skin. This thermal disruption later causes excess skin to dry superficially into tiny crusts which fall off in the form of tiny flakes within a matter of days. 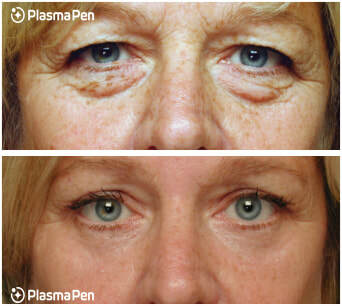 Why is the Plasma Pen by Louise Walsh International the best device on the market? 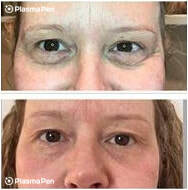 Who Can Perform Plasma Pen Treatments? As with most cosmetic & aesthetic advances, this is a case where technology has moved faster than legislation. Over the past year, this technology has exploded in popularity and consumer demand in Europe. Currently there are no laws on the books here in the US (to our knowledge) for any states as this is brand new technology just coming in to the US. Obviously we are not a regulatory agency. We are a representative of the manufacturer and a training facility. Legally we are not permitted to tell customers whether they can perform a treatment or not. In our experience on this technology, if a professional tries to contact the Board of Cosmetology they will likely not get an answer, or get inconsistent answers as it seems the Board does not know what this technology is yet or how to classify it as it is truly a unique technology. So it is a grey area. Currently this technology seems to be a grey area with the Boards, and they haven’t been presented with the information to make a decision yet on whether it will be inside or outside the scope of esthetics. In general, becoming a technician for this services requires that one has a good general understanding of the skin and has a professional license in one of the following industries: medical, permanent makeup, or esthetics. The nature of this device is such that a technician should only buy a high quality device Plasma Pen by Louise Walsh International is the only company right now to this standard. We have spent the past 1.5 years researching and reviewing other devices. It is mandatory the technician must go through a full proper training before use. They also must obtain the proper insurance to use the device. 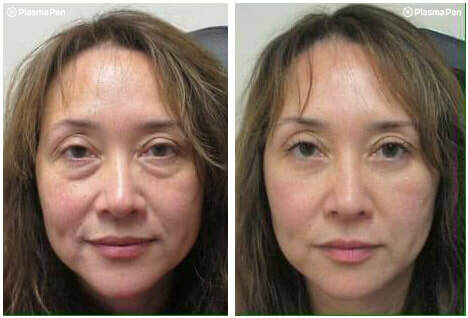 Technicians are bringing this treatment into their practice because it offers incredible results unique to this technology and has dramatic return on investment. Cost per treatment is around $8 and treatment price is $650. Please note: Although the device has the word “Plasma” in its name, it is a completely separate service from Platelet Rich Plasma. 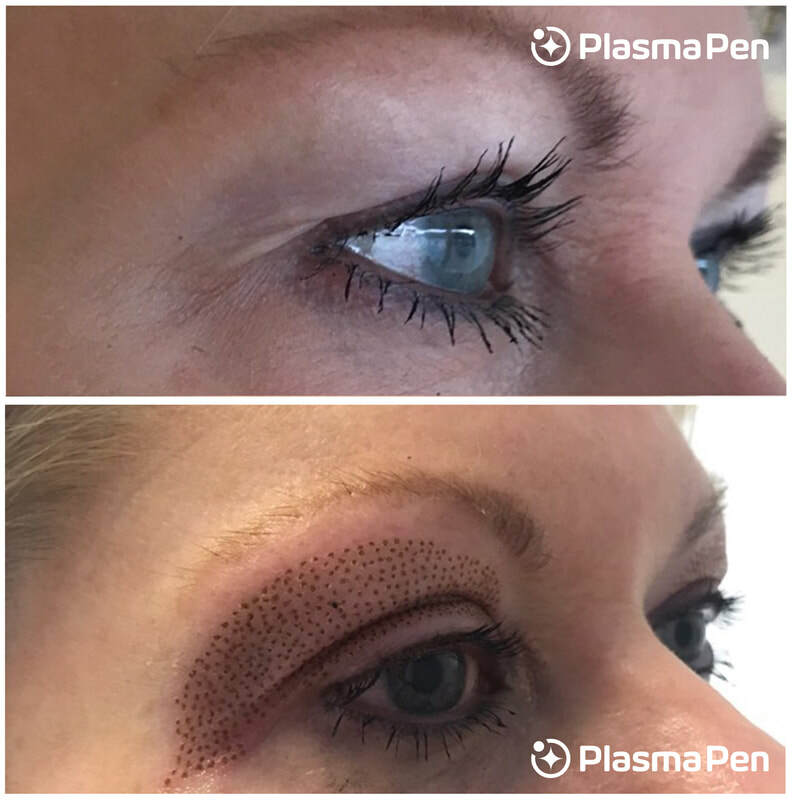 The Plasma Pen by Louise Walsh International does not involve treatment using blood plasma. Providers are responsible for researching state/local/federal licensing laws & regulations surrounding services & ensuring these services are within the scope of practice prior to registering for the course. We are not a regulatory agency, and all questions regarding scope of practice must be researched through your governing Board and/or city/state/federal laws. Completing our training course does not allow you license to legally perform the service in your city/state. All tuition is non-refundable, non-transferable. This course and each presenter’s lecture, educational materials, clinical laboratory experience and the statements he or she makes with regard to these therapies have not been evaluated by the FDA. Should any practitioner wish to provide any therapy in their clinical practice, they do so at their own discretion and bear sole responsibility toward their patients. No one may hold this web site, Advanced NJ Care LLC. dba JHON-JHON, Love Beauty, The Beauty Aesthetics Company, LLC, Plasma Pen USA, each educator or any other individuals or companies associated with this course liable in any way for any reason or for any action providers have chosen to take in the care of their clients/patients.